Choosing a garage door is a major decision and one that deserves much thought, research, and planning. Your garage door is one of the main focal points upon arriving at your home and Sevan Locks and Doors can make sure that it represents you and looks well with the rest of your home. In this edition, we will be discussing things to help you make the right choice for you and your family. Here are seven things to keep in mind when choosing your garage door. Knowing the low and high end of your budget basically narrows down your search in regards to the other six tips we will give you. It is easy to fall in love with a high-end garage door but if your finances don’t allow that it is better off you don’t even put yourself in that position. On the other hand, if your budget allows you to get a garage door that allows for all the bells and whistles than go for it. You will find that coming up with a garage door financial plan will save you time, money, and maybe even a little emotional energy. 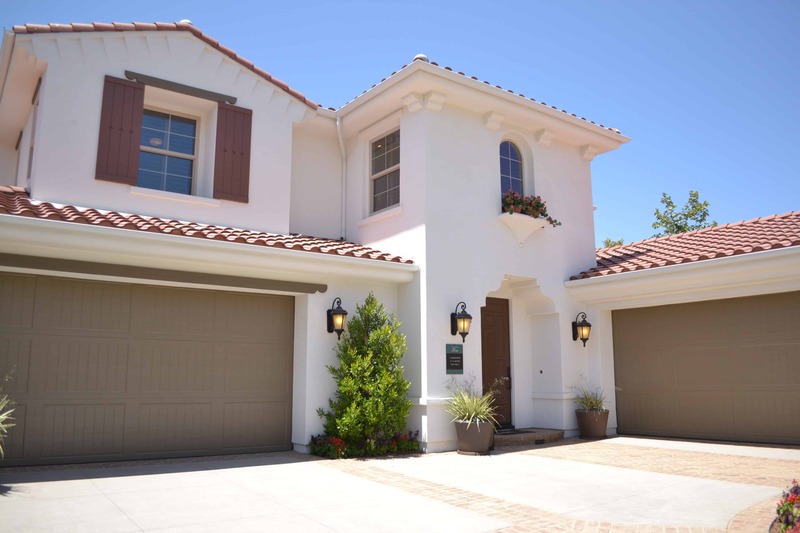 With the many garage door styles and materials to choose from, your home’s architecture should be a serious consideration before making your final selection. If your home is stone or brick you will want something different than if your home was made of vinyl siding. Likewise, the color of your home can make a huge difference in what you choose. Remember that garage doors are available in multiple textures and colors as well. It would be a good idea to find images and styles online for ideas. Garage doors have come a long way these days. It is important that you talk to the company you use about safety features and options available at every price point. At the bare minimum, your garage door should stop when it senses something in its track. Garage doors are extremely heavy and can be deadly if they are not used or installed properly. Make sure that you do what you can to keep your home and the people in it safe. You’ve heard the saying, you get what you pay for, well this is especially true for garage doors. It is extremely important to invest in high-quality parts built to withstand wear and tear. The climate you live in can play a part in what you choose. Remember that humidity makes things expand and dry climates do the opposite. Take into consideration how the weather may effect paint or metals. You can choose any garage door for any climate but you may have more or less maintenance and upkeep. Steel garage doors are known for their low maintenance and durability. Wooden doors have a timeless and classic look and are very durable but require a bit more maintenance. Take into consideration the amount of time and money you are willing to spend on these variables. It is important to ask yourself, is luxury or practicality more important to me? The company and team that installs your garage door are just as important as the garage door itself. Do they offer lifetime warranties? What about servicing your garage door, will they be there for you if there’s an emergency in the middle of the night? These are issues you are going to want to take into consideration before choosing your garage door and the company who installs it. Thank you for reading our blog. We know you will find value in many of these tips and we wish you the best in your search for a new garage door. Sevan Locks and Doors of Seattle would love to hear from you. We offer a variety of services from locksmithing to garage door services. Call us today with any questions you may have or service you would like completed.